This is absolutely delicious according to anyone I’ve ever made it for. I use one of those pork tenderloins that are marinated in the package (usually for around $6-7). You can use one that is not marinated, but I would marinate it yourself. 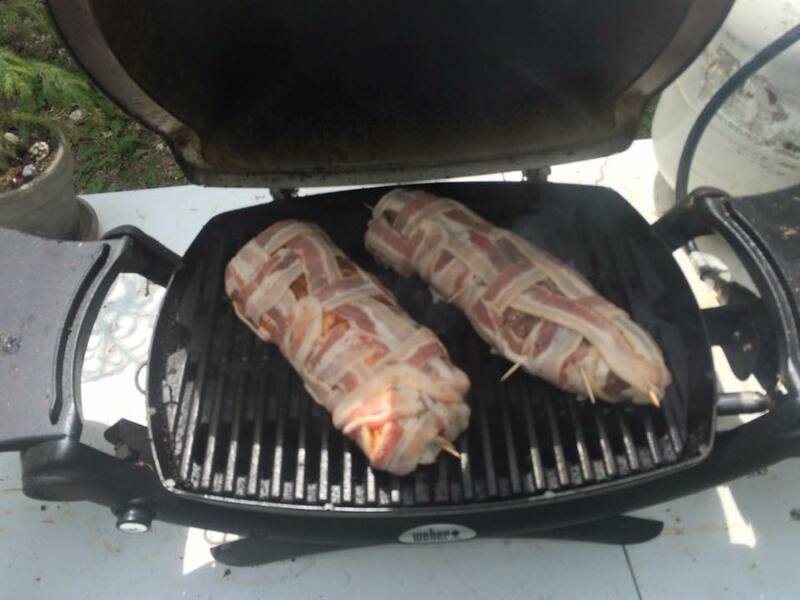 I then weave slices of bacon, usually about a half pound per pork loin, then wrap it up! I try to use as few toothpicks as I can get away with to secure the bacon because they can be hard to find when it’s finished cooking.